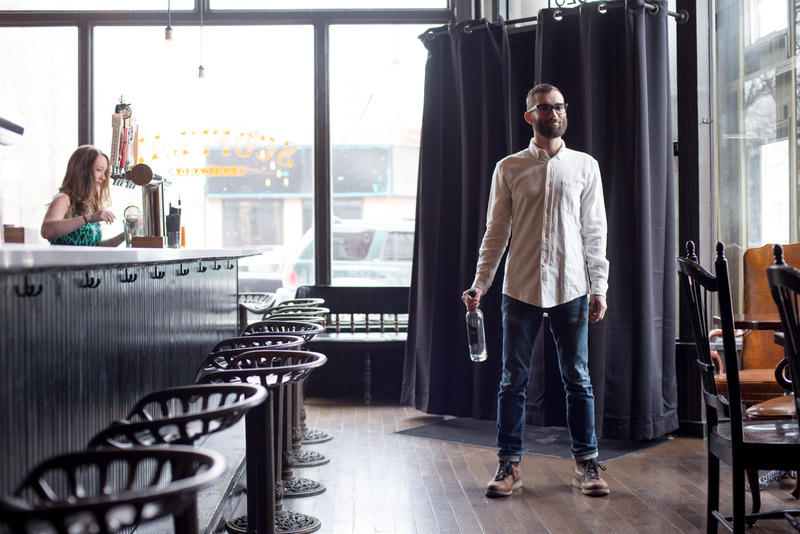 Daniel Shapiro, Owner Scofflaw, 3201 W Armitage Ave, Chicago. Holding a bottle of their own Scofflaw Gin. for Imbibe. Release on file.